The Genoa to Barcelona ferry connects Italy to Spain and is operated by Grandi Navi Veloci. As well as comparing prices and times for Genoa to Barcelona, we will also show you results for Civitavecchia to Barcelona and Savona to Barcelona to help you get from Italy to Spain at the best time, for the best price. 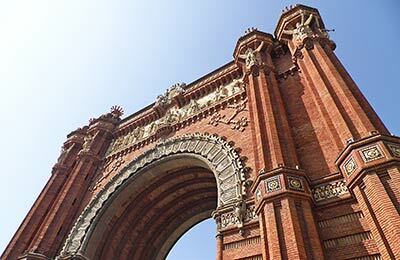 The average price found by our customers for Genoa to Barcelona recently is £539. Book a Genoa to Barcelona ferry today with AFerry. Just use the form above and choose the route that you want. If nothing appears automatically, start typing Genoa. You can also type the country or even the name of the ferry company you are interested in. When you have the route that you want, choose single or return and all the other options you want. If there is more than one ferry company operating on the Genoa Barcelona route we will show you all the ferry companies, to make sure you get our best price. 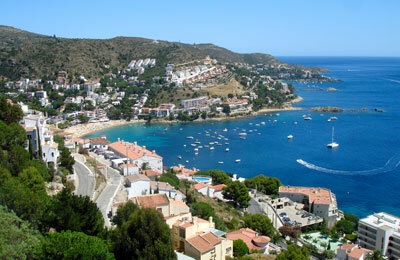 We'll also show you any routes similar to Genoa to Barcelona so you have the complete picture when making your booking. And of course you'll also see a range of times just in case it's a bit cheaper earlier or later than your preferred booking time. Once you've chosen your perfect sailing and have made your booking we'll email you your booking confirmation for your Genoa to Barcelona ferry. The majority of tickets have instant confirmation. Below you can see the ferry company or companies that sail on the Genoa to Barcelona route and the journey times. You might also see some recent prices our customers have found. The best way to find a cheap Genoa to Barcelona ferry though is to use the form above today to see all of our possible choices. With AFerry we always give you our best prices for ferries from Genoa to Barcelona. No matter which page you book from we always include all our special offers. And there is no need to look for a discount code. If we have an offer available, your ferry price will include the reduction or offer. There's no need to look at other websites. If you're not sure if the Genoa to Barcelona route is right for you or you can't decide between ferry companies, if there is more than one, you might also find it useful to read any reviews we have available. We ask all our customers to send us reviews for Genoa to Barcelona ferries. Remember though, that the earlier you book, the cheaper prices normally are. So don't spend too long deciding! Genoa to Barcelona is a popular route, so we advise you to book as soon as possible. GNV must rate as one of the most poorly organised ferry companies I have experienced. Ticketing is inconvenient and over complicated, loading and disembarking is chaotic and every ferry I travelled on was late. Add to this poor cabins. inadequate catering and rude staff and you have a fair summary....AVOID. I know and i understand that its not an high season yet , but the ferry was completely empty of all the kind of services . Smooth enough crossing. Shame about the cleanliness of the cabin. The toilet floor had blood on it and the toilet had not been cleaned. Poor facilities. No entertainment. It was a pleasant journey. It was good to ferry. The staff were kind and courteous, helpful, hardworking and cheerful, in spite of a lot of work. Which it was a problem when we started to pass. When booking a month earlier already received, bill, ticket was not indicated, that have to another tickets, small tickets in the port. Moreover, it was shown that the Internet can be obtained ticketed to travel. This has been the final minute of the start only been reported. I had to rush to the ticket office, get little tickets. So, we were the first, who arrived at the port, but last we got on the boat,due to the above-described. A little information can help with this would have been eliminated. Other than that, the trip was perfect and we are satisfied, we felt well, thank you. Had a cabin booked, and would do so again, for a private place to sit or sleep. Did not try the onboard food but hot drinks were easily available and well priced. Good, clean, public areas (pool disused) but nice to have a place to retreat to. Lots of opportunity to access the deck and spent the afternoon and early morning in distant sight of the coast. Good mix of people. Entering and leaving port is brilliant. An interesting, time efficient way to travel overnight but the delays, long walks and poor sign posting at ports at both ends made it uncompetitive with trains or airports. Left late and disembarked late, though made up some time on the trip. Would do it again, but would avoid having immediate plans at either end.